June 25, 2017 is the Great American Backyard Campout! 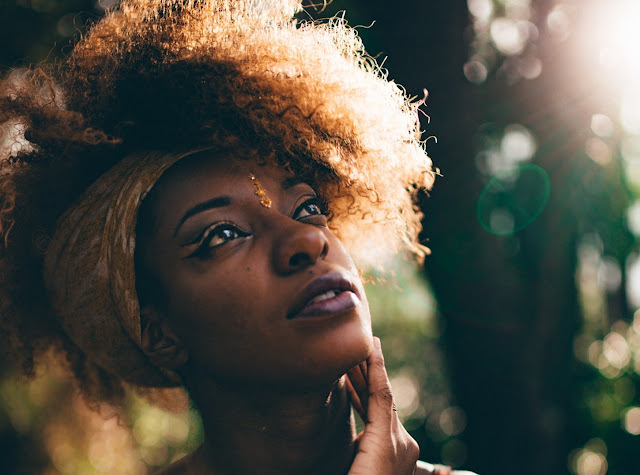 The Great American Backyard Campout is sponsored by the National Wildlife Federation and is a part of the organization’s “Be Out There” campaign that encourages children to unplug, go outside and appreciate all that Mother Nature has to offer. 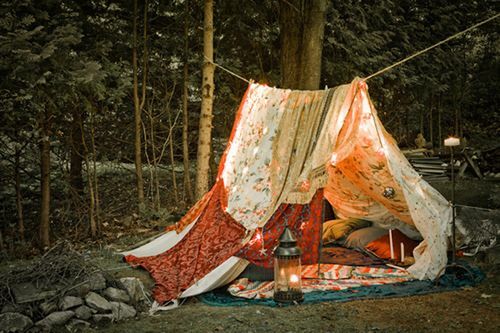 The Great American Backyard Campout is a great opportunity to set up and enjoy the great outdoors with your family right in the privacy of your own backyard. It's half the planning of an actual camping trip and the bathroom is always just a few yards away. 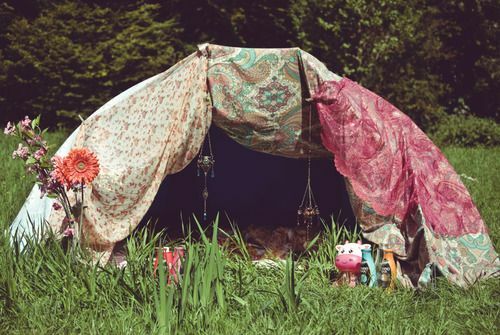 If you have a bit of bohemian in your soul then you probably like for your surroundings to be a reflection of your personality and style at all times and camping is no different. 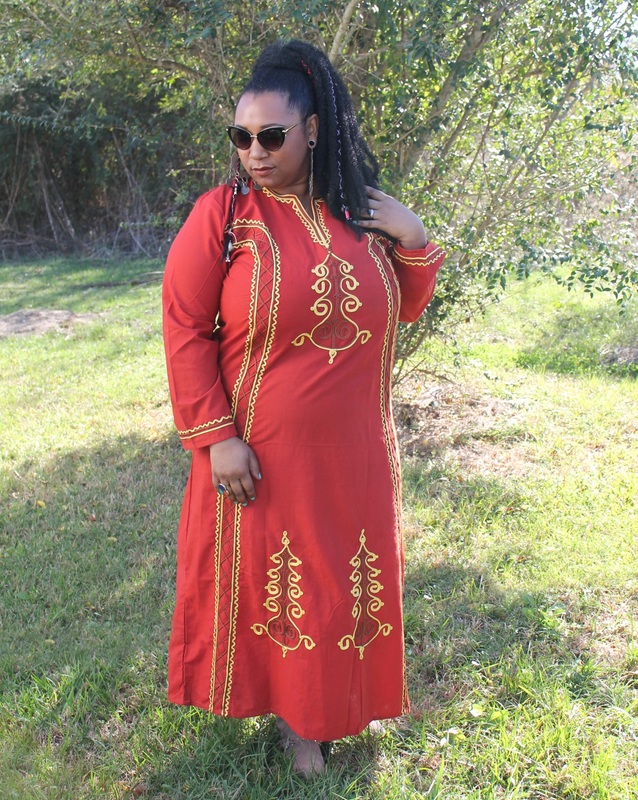 Here are a few ways you can participate in this day of fun while maintaining your bohemian style. 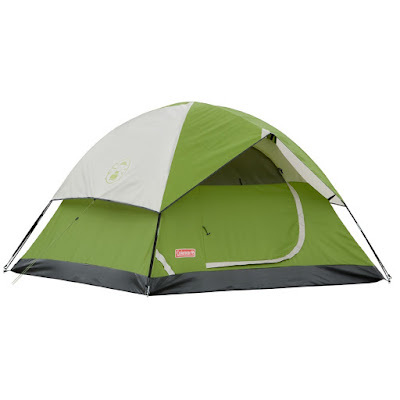 Begin with a simple tent like this Coleman Sundome Tent here. 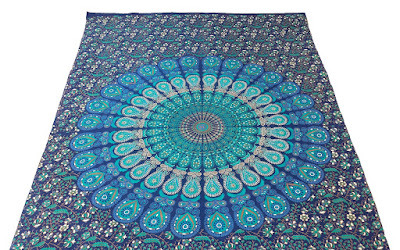 Cover the outside of it with thin thrifted bed sheets and Indian mandala multi-purpose throws . 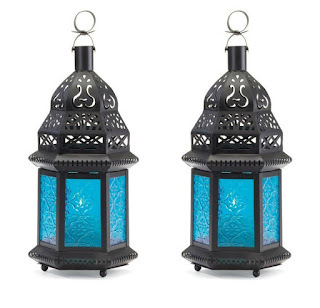 This set of two Moroccan style lantern candle holders is only $19.99 on Amazon! 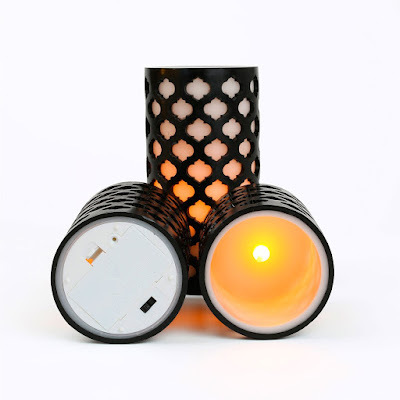 You don't have to worry about LED candles blowing out in the breeze. 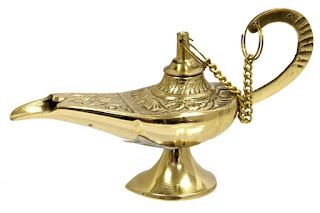 Add some genie bling to your campsite with these brass incense lamps - only $5.89 each! 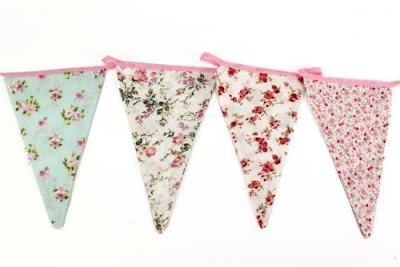 Bunting, bunting. Who's got the bunting? 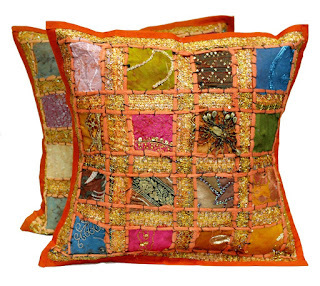 Drape inside, outside and all around! 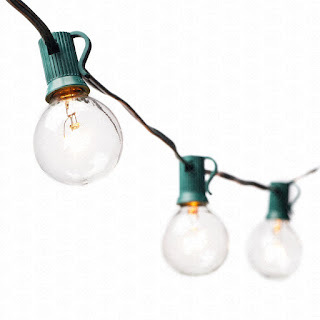 Not only does it look great but bunting is also great for adding to lines and cords to no one will trip over them. 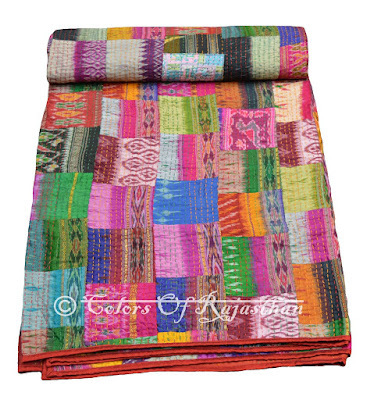 In the heat of a summer night, you probably won't need sleeping bag, but you still might want a beautiful blanket to lay upon like this handmade kantha quilt. 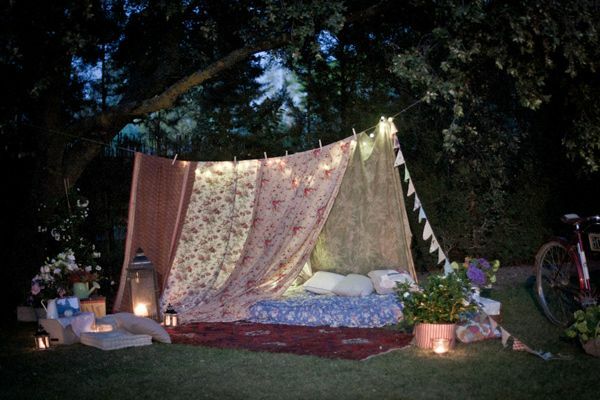 And somewhere pretty to lay your head. 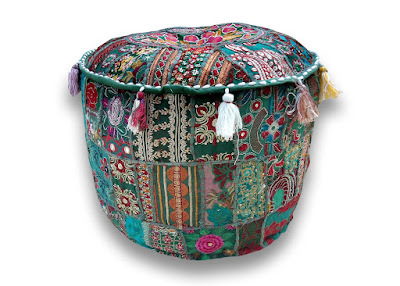 Floor poufs are a bohemian camper's dream! 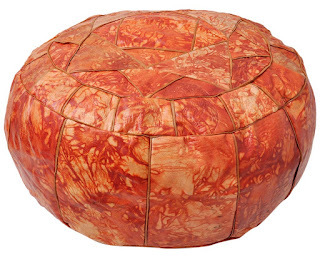 These particular poufs are just the cover. 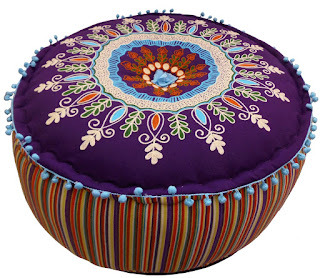 You can fill them with old clothes, blankets, towels - anything you like! 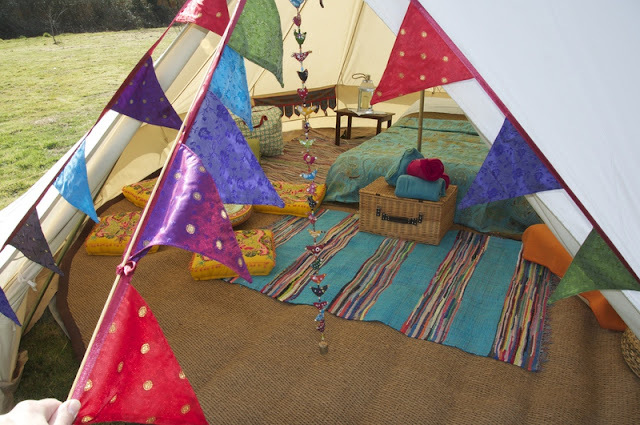 Will you be participating in the Great American Backyard Campout this year? 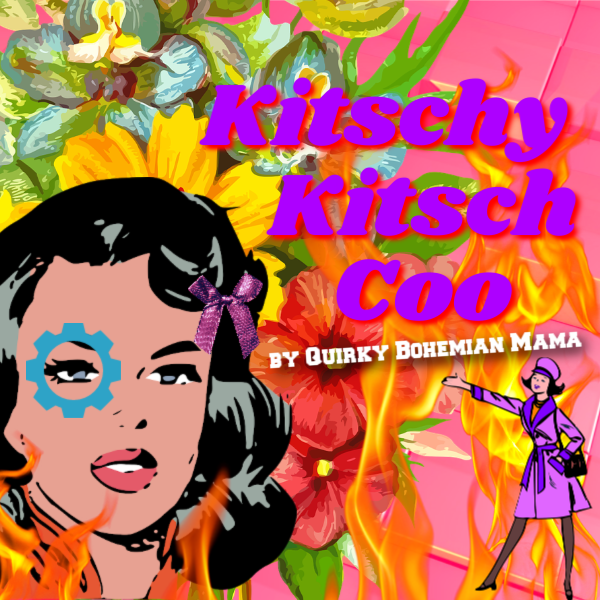 Follow Quirky Bohemian Mama's board Gone Camping. on Pinterest. Love it! Would love to know where I can get those colorful woven rugs like the blue striped one in the third photo! 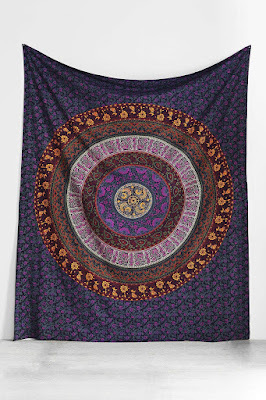 I need one for my living room!